Robert "Bob" Snow Roberts, age 67 of Pikeville, Kentucky passed away Wednesday, March 27, 2019 at his home. He was a petroleum engineer, a member of the Ky Oil & Gas Association and a Kentucky Colonel. 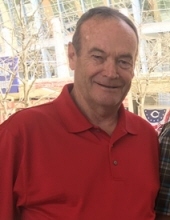 He was a 1969 graduate of Pikeville High School and a 1979 graduate of Marietta College, an avid Cincinnati Reds fan, a UK Wildcats fan and a Grill Master. Bob was born in Pikeville, Kentucky on October 9, 1951 the son of the late Oliver McKinley Roberts and Violet Odema Muncy Roberts. He is survived by his wife, Karen Marie Durfey Roberts and two sons, Chad McKinley Roberts and daughter in law, Deanna of Commerce, Michigan and Nicholas Snow Roberts and daughter in law, Stephanie of Lexington, Kentucky. Three brothers, Dr. Oliver W. Roberts of Wesley Chapel, Florida, Howard V. Roberts and Randall L. Roberts both of Pikeville. He was a proud grandfather of five grandchildren, Grace Lee, Houston Roberts, Sawyer Roberts, Penelope Roberts and Cecilia Snow Roberts and one on the way. He is also survived by special friends, Terry, Dee-Dee, McKinlee and Kennadee Potter and Chris Mullins. To send flowers or a remembrance gift to the family of Robert "Bob" Snow Roberts, please visit our Tribute Store. With services beginning at 7:30 p.m.
"Email Address" would like to share the life celebration of Robert "Bob" Snow Roberts. Click on the "link" to go to share a favorite memory or leave a condolence message for the family.